Rebuild edge connector for better contact. 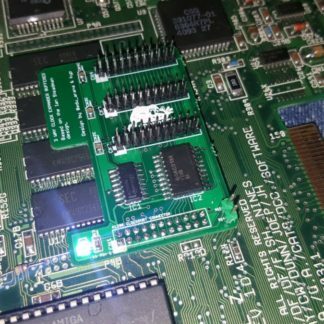 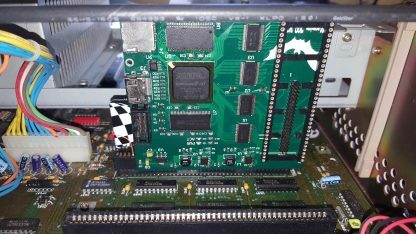 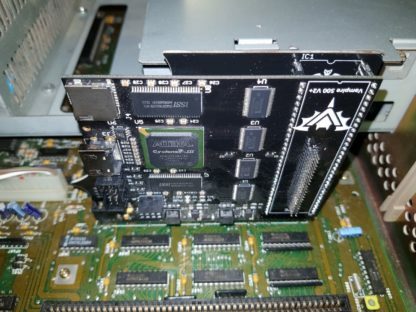 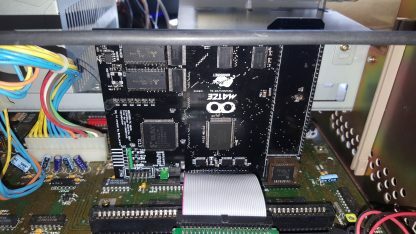 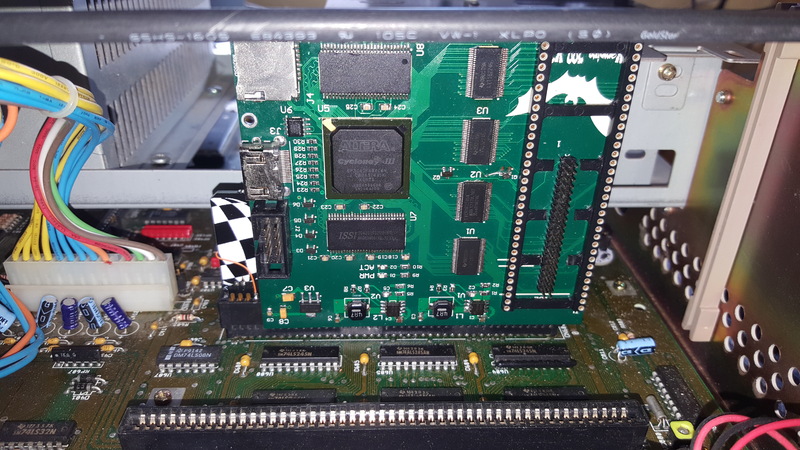 This board allows to plug an a accelerator or CPU on the CPU slot of the Amiga 2000. 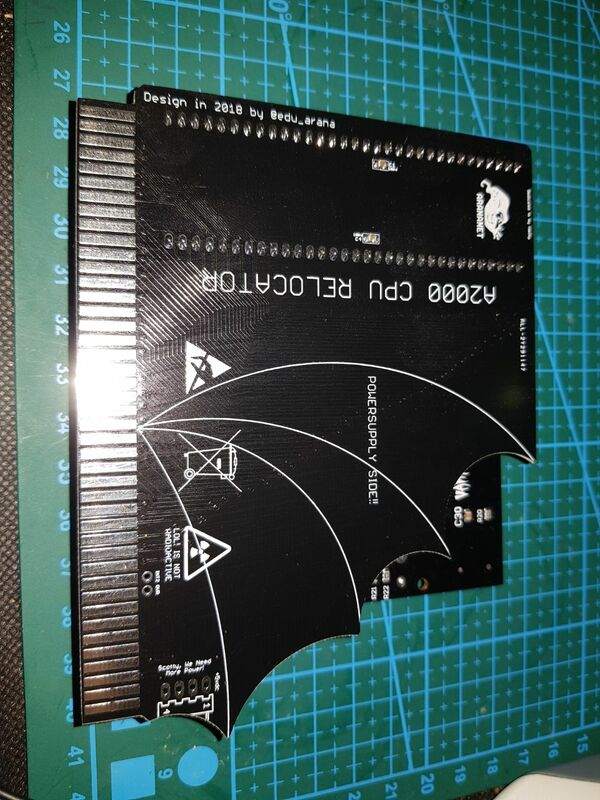 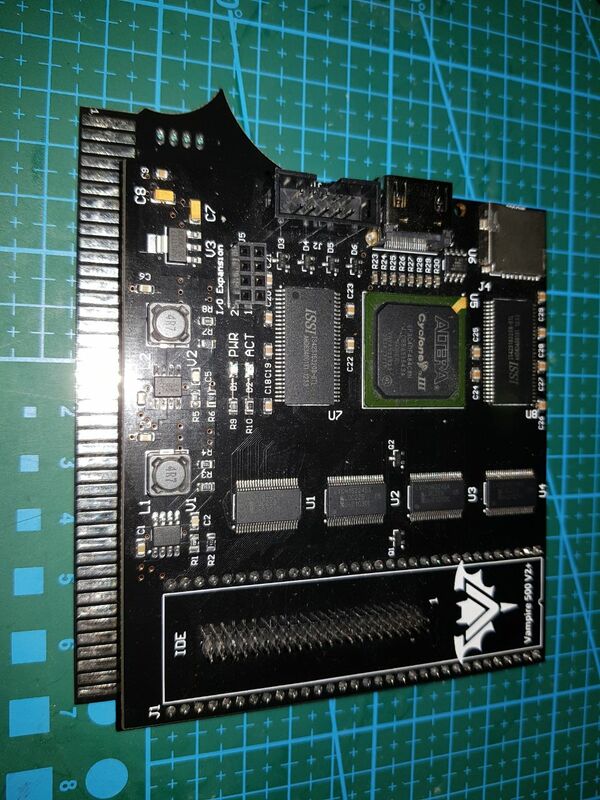 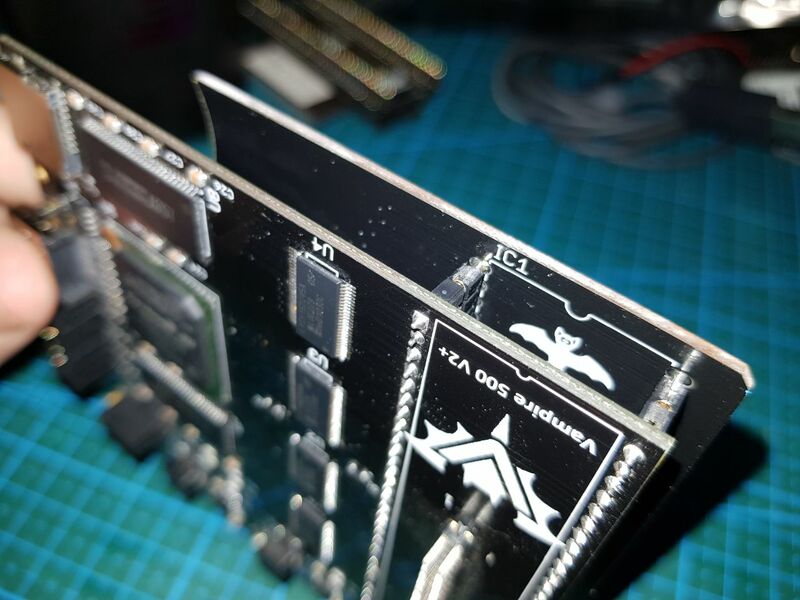 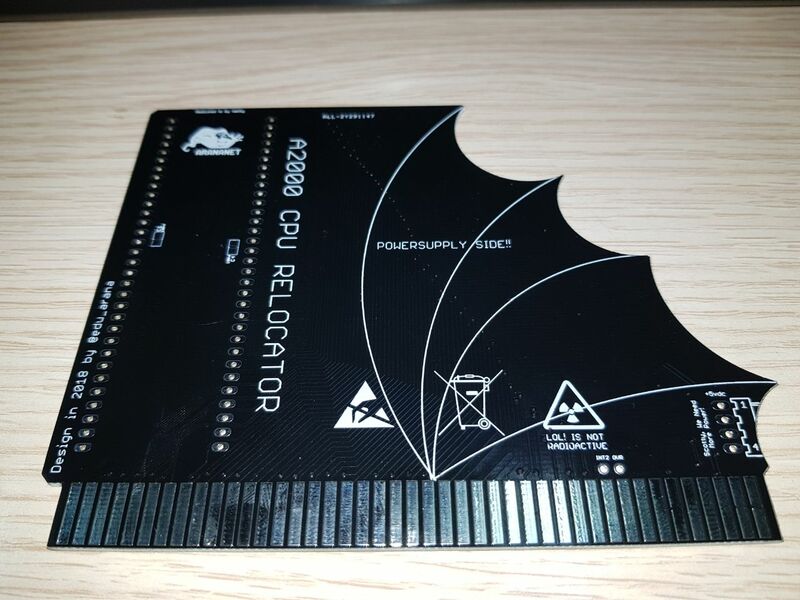 Its has been specially made for Vampire 500 v2+ rotating the HDMI connector to 90° so it will not interfiere with the A2000 Case. 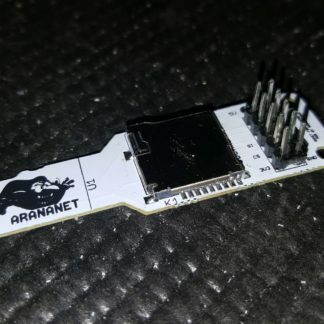 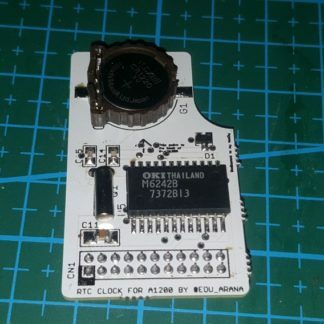 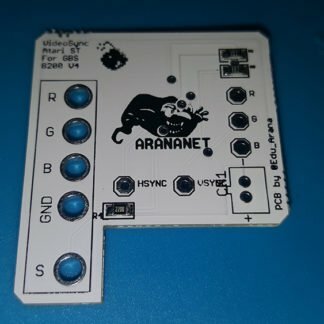 Important: Note that the pinrows must be soldered on the side that shows “PLUG YOUR AWESOME ACCELERATOR HERE”, if you find it different on your board please contact me at info@arananet.net and do not connect anything there.